Enjoy the sea and the Old Tallinn silhouette! There is a common opinion that the most breathtaking views of Tallinn open up from the sea. Tallinn Bay offers great opportunities for escaping the routine and enjoying the sun, the sea and the wonderful Tallinn views. 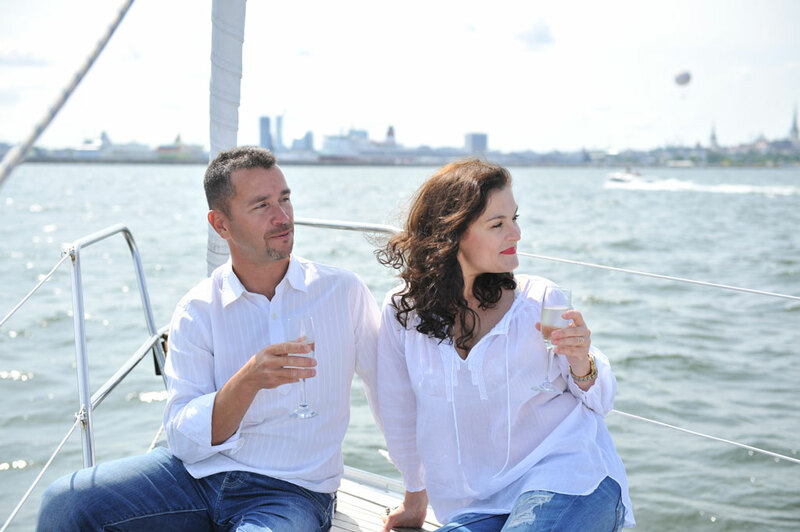 Sailing tours are perfect for celebrating your special day or event, such as birthday, bachelorette or bachelor party. Organize a routine-free meeting with partners or colleagues. For those, looking forward to some romantic quality time we suggest the sunset cruise. And what could be better than a photosession under white sails! 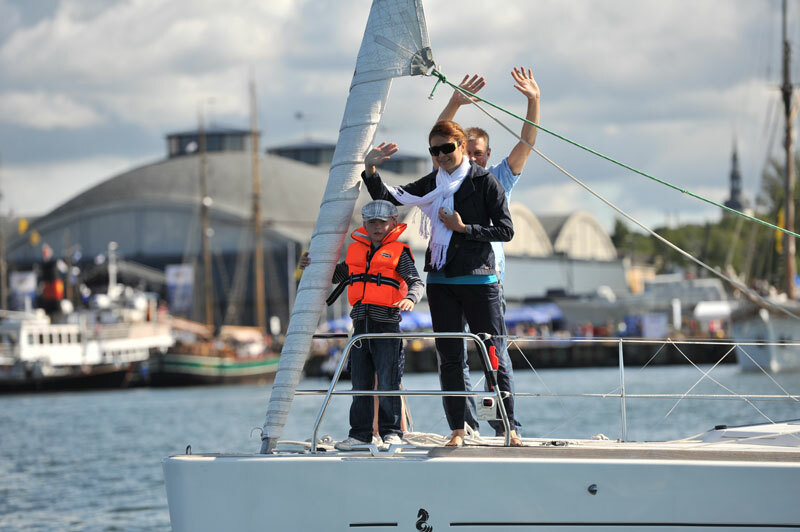 Tallinn Bay cruises usually last 2-3 hours, but it is always possible to make longer tours. 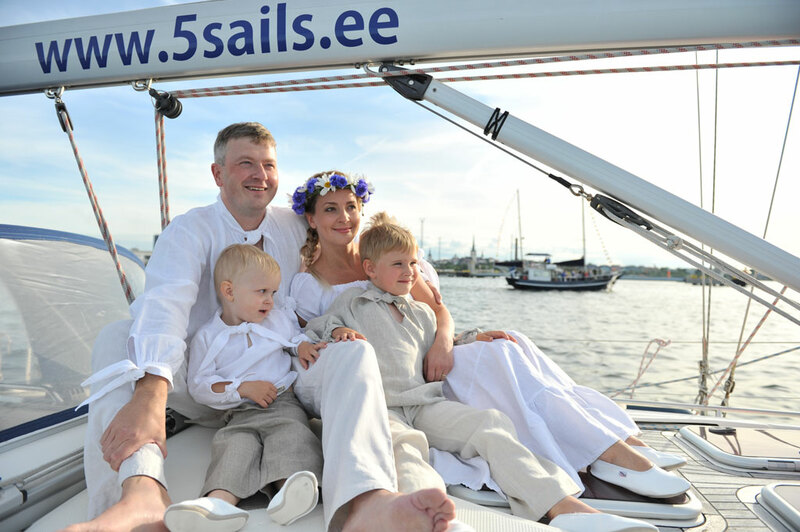 Our professional skippers will put up a route depending on your wishes and according to weather conditions – some may prefer the Kalamaja, historic district filled with maritime history, others would rather enjoy the natural beauty of Pirita shores. Every Thursday at 19 o’clock a regular cruise takes off from Old City Marina. This is a group-tour, meaning you do not have to book the whole sailboat just for yourself, but you can simply join other sea-aficionados alone or with a friend or two. 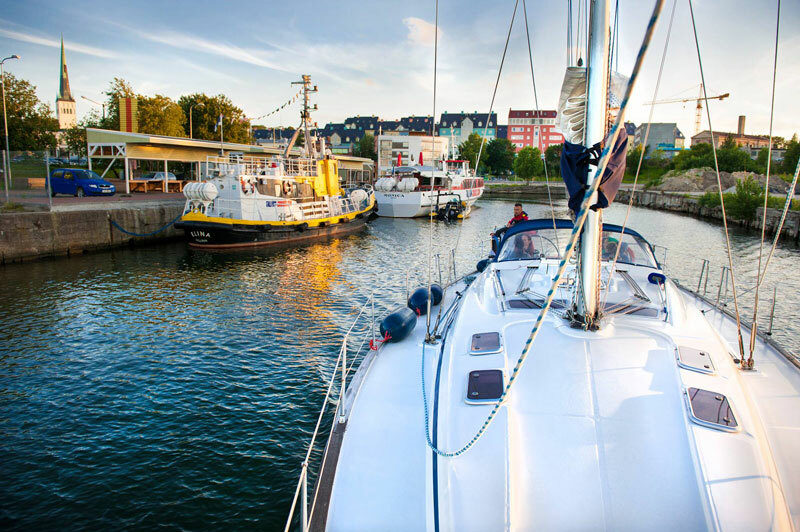 Sailing tours start from Old City Marina (Vanasadam) right in the heart of Central Tallinn. During the trip we sail past the City Hall, Fishing Harbour, Patarei Prison, Seaplane Harbor, ice-breaker "Suur Tõll" and the Maritime Museum. 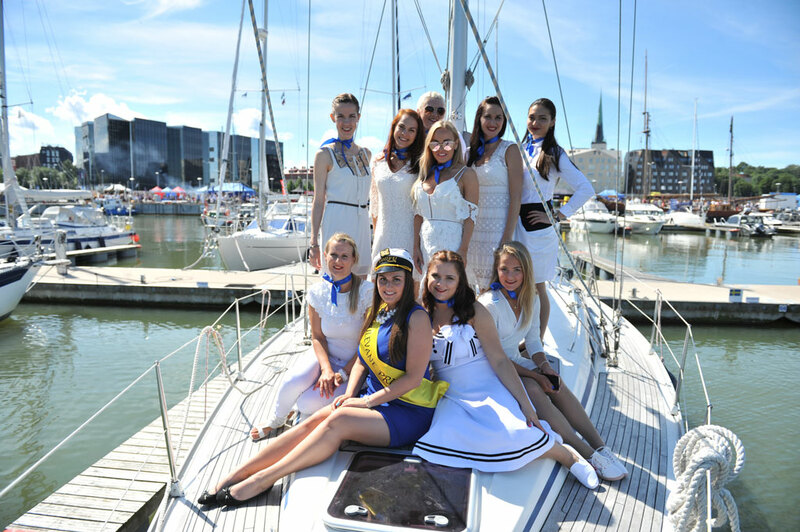 We can also sail off to Pirita, where depending on the weather you can bathe in the sea straight off the yacht. The participating travelers can take part in lifting the sails and other maneuvers. Fishing Harbour is the closest to the Old Tallinn port. In the Middle Ages this was a docking place for fishing boats coming to the town of Kalarannas (“Fish Shore”). In 19th and the beginning of the 20th century Kalarannas was the biggest fish trade market in the Tallinn area. The Fishing Harbour was built in 1924–1925. Until the WWII this was Estonia’s most important fish port, where about the 10th of all the Estonian catch was being traded. Nowadays, there are the Fish Market and the café “Võrk”. Views to the Patarei fortress-prison and Seaplane Harbour open up from here. Seaplane Harbour hosts one the most impressive maritime museums of the North Europe. The Seaplane hangar is an outstanding building on its own right: it has the world’s first vault of such a size without any interior piles. The harbour features a guest marina, while also being home to museum boats. The most honorable is the 100-year-old icebreaker Suur Tõll („Great Tõll"). 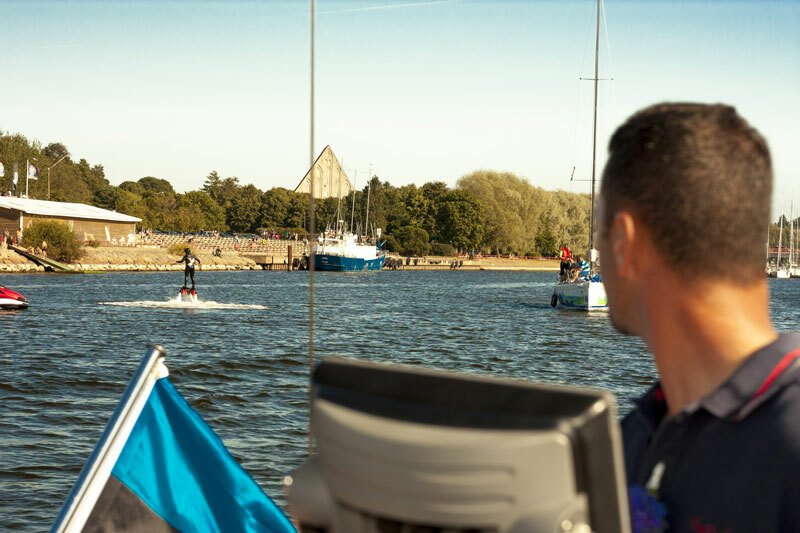 A popular beach, adventure park and marina, Pirita is a place to enjoy wonderful summer days in Tallinn. This part of the city delivers views of the Pirita Monastery 15th century ruins, where the magnificent Birgitta Festival takes place in August, of Pirita promenade, a longtime favourite among both walkers and cyclists, as well as of the 16-meter high „Russalka“ monument, built right on the seafront next to Kadriorg park. 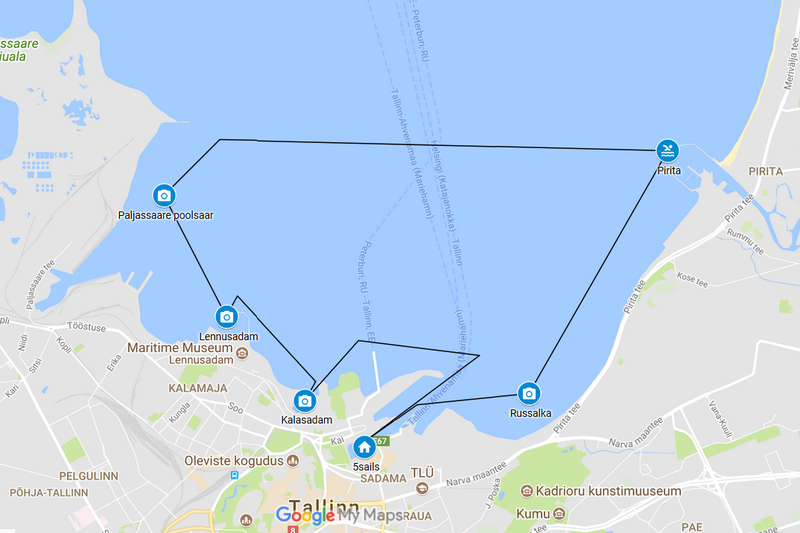 Old City Marina – Fishing Harbour – Seaplane Harbour – Paljassaare peninsular – Tallinn Bay – Pirita marina – Russalka – Old City Marina.